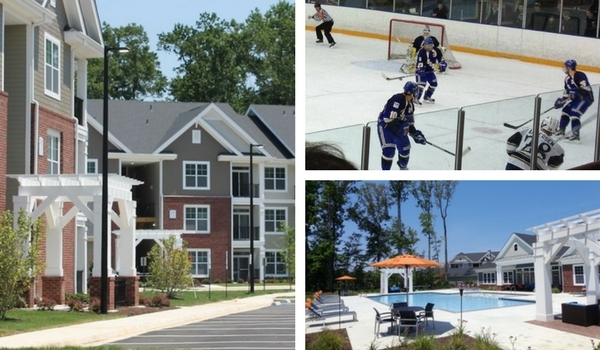 We have seen a lot of mixed-use neighborhoods cropping up in Hampton Roads. In the age of free two-day shipping via the battle between online giants like Amazon and Walmart, a lot of retail businesses are rushing to find a more convenient option: setting up shop next door to you. This isn’t a novel idea. Before suburbia and strip malls, the convenience of walking to your local vendors wasn’t a pleasant option but a necessity. Everything old is new again. The “Live, work, play” model is becoming popular nation-wide so we wanted to take note of what that looks like in the Hampton Roads. Walk scores measure the accessibility of any neighborhood by foot to places you need to go (grocery store, bank, gym, etc). We have these scores for all the developments we list here to give you an idea of how connected they are to their communities. In real estate, a high walk score can lead to a higher asking price. Who doesn’t like a stroll in the park or a quick walk to a pizza place around the corner? 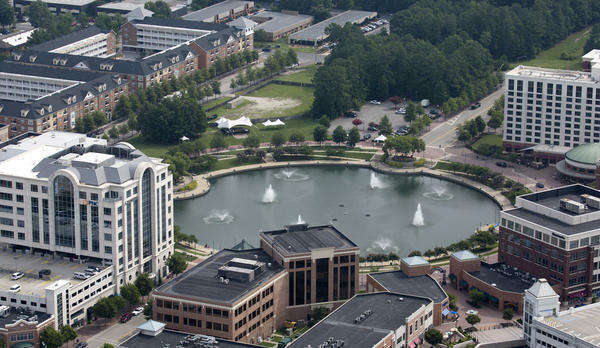 The Commonwealth at York is a new edition to Hampton Roads. Like most of the mixed-use developments here, there is a movie theatre (about a third of a mile away) and some options for shopping. Unlike most, The Commonwealth boasts an ice rink at their door step! The residential part of the neighborhood was built later than the shops so it’s not as “mixed” as most, which affects its walkability score. A little over a decade old, New Town is a bustling addition to Williamsburg. With over 190 businesses (including P&H Realtors) on 365 square acres of real estate, it’s safe to say that living here involves a lot less commuting and a lot more doing. 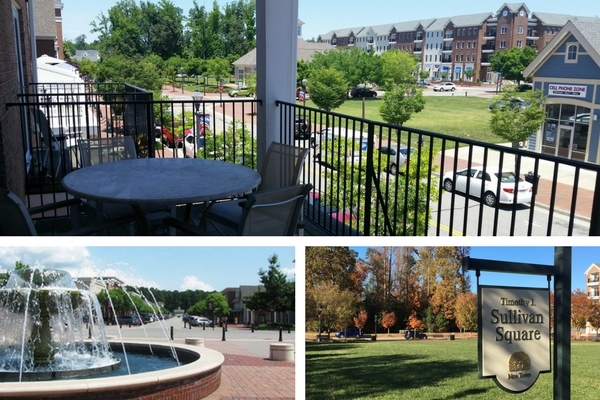 Most of Williamsburg and James City County has a walkability score below 20 which makes New Town the place for people who like to stay active. This place is great! Our gym is across the street (so is the movie theatre and pool hall)! We love that we can get a meal regardless of which direction we walk-in. And biking to work is a nice option. Did we mention we work next to a Trader Joes? City Center has a farmer’s market on Thursday mornings, hosts free music concerts on their lawn on Wednesdays, and hosts the Veterans 5K, a charity walk (or run for you gym-goers) to honor military servicemen and women. Talk about prime real estate! Highlight: Tucanos Brazilian Grill – It’s all you can eat and delicious. You know the drill. 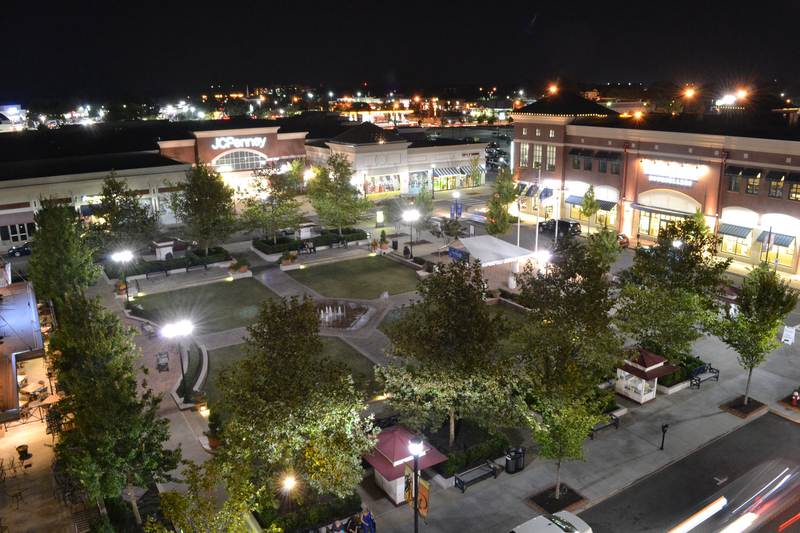 Shopping, Dining and entertainment can all be find within a block or two. Being between the Historic Triangle up north and the beach to the south isn’t too shabby either. Shopping is a highlight here. With Pembroke Mall right across the street, you probably have more options than you can shake a $20 at! The peace of Central Park is just a block south of you. Where there are pedestrians, there are plenty of restaurants! And Virginia Beach has a lot of tourists and locals flapping their flip flops. This development has both office and residential spaces with plenty of things to do. 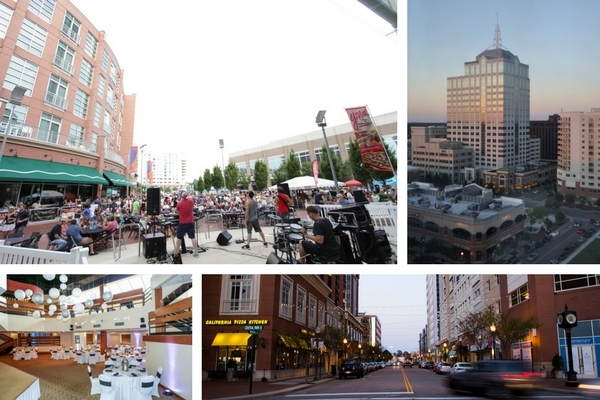 Located in downtown Norfolk, it is an ideal spot for the young, urban professional who values a “Live/work/play” community. Really everyone can find something to like about WFC. The local rail train, “The Tide”, is right there (which helps the walk score). So are all the major venues: the Norva, Chrysler, and the Scope Arena. You also have food options galore! Highlight: The Norva – Lots to pick from but I saw one of my first concerts here. Whether you’re looking to buy or rent or sell, this prime real estate can demand a premium. Drop by any or all of these to see if it’s the right fit for you. We’d be happy to take a look with you if you’re interested.